Bead Crochet Kit - Cotton Candy Intermediate Project. Pearls, Crystals, Beads, Thread Pattern and Hints document included. This beautiful bead crochet kit includes all the beads you need to make this lovely bracelet, including high quality color coordinated crochet thread. It also includes the pattern, a 6 page Hints document, and an Adding Thread document - which gives you invaluable bead crochet information, including the invisible joining instructions. Choose the kit color you'd like to receive - high quality crochet thread in a complimentary color is included in the kit as well. 1. 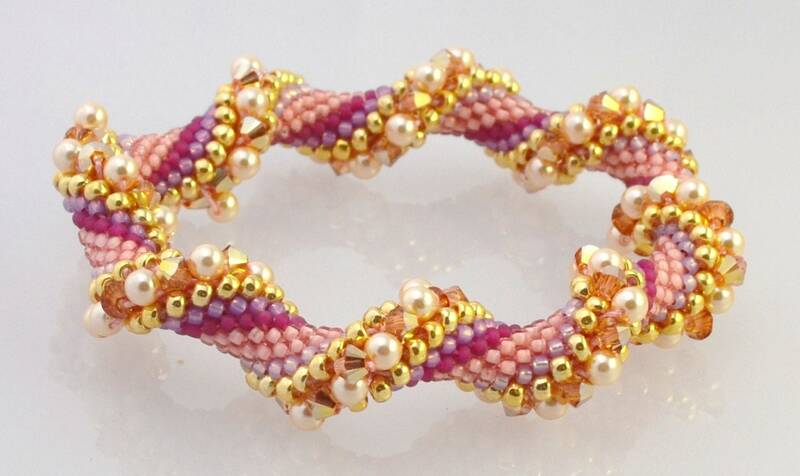 Original colorway shown as example - Pink, Purple and Gold - Original color consists of creamy vintage gold pearls, two tone Gold Swarovski crystals and pinks high quality seed beads (pic 1&2). 2. 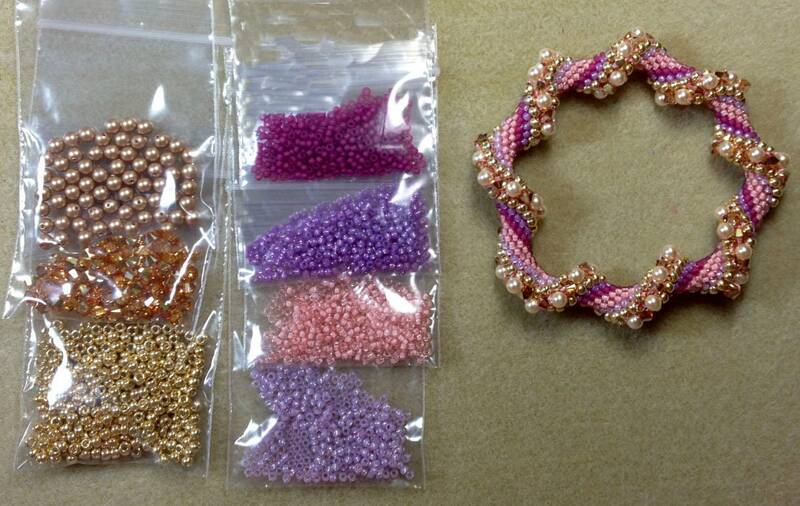 Lavendar with Silver, Pink 2-tone Swarovski crystals, pink and purple high quality seed beads (pic 3). 3. 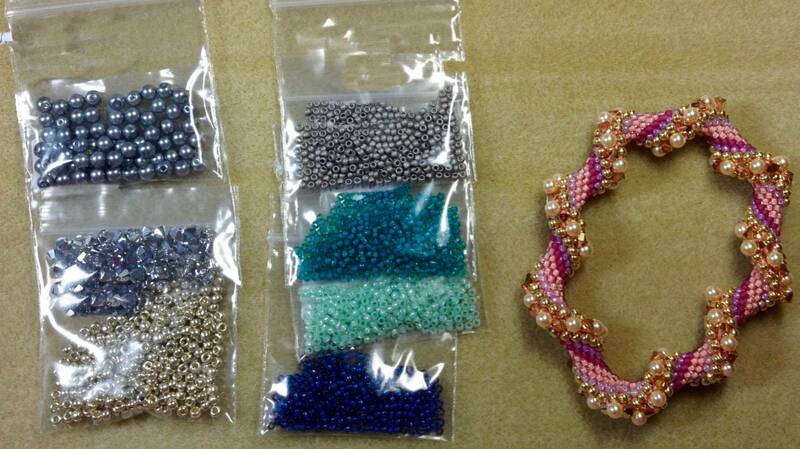 Silver/light grey, silver beads, grey, blue and teal high quality seed beads (pic4).